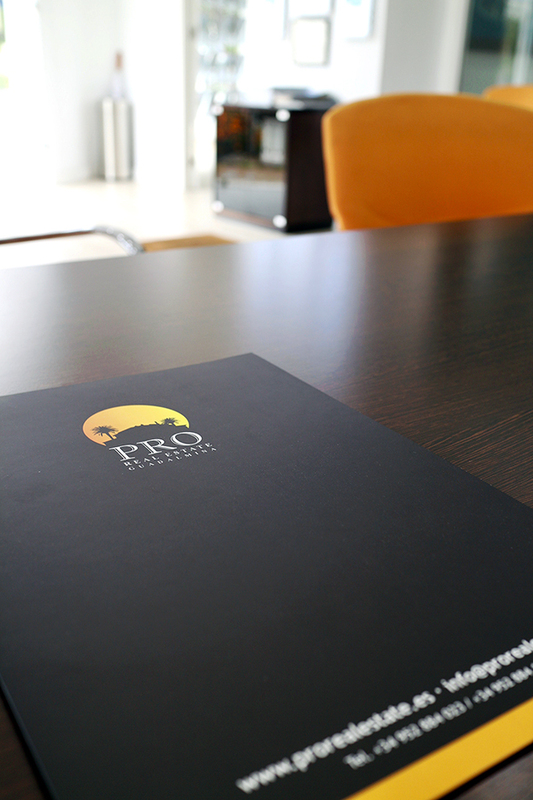 PRO Real Estate offers a comprehensive property service to both vendors and buyers. It starts with accurate valuations and advice on how best to present a property and prepare it for the market. This can include design and even renovation proposals that offer significant added value to vendor and buyer alike, but it also extends to the entire sales process, where we guide buyers from the early stages right through to completion of the transaction and any subsequent support needed. We know the different properties, areas and the lifestyles they offer, but we don’t know your personal preferences, tastes and needs, so we take the time to sit down and listen to you carefully, knowing what to ask to fill in the gaps and create a clear picture of the kind of home and lifestyle you are looking for. The property purchasing process in Spain is pretty straightforward and transparent, yet for those buyers who are not familiar with it we provide purchasing guides and a list of law firms, accountants and fiscal specialists we recommend on the basis of many years of close professional collaboration. They will help you decide on the best options for you. PRO Real Estate has built up a valuable list of professional contacts over the years, which means we can help you if you would like to have your new home renovated, decorated, landscaped or otherwise completed to your wishes. In addition, we also find plots for private owners and build villas to their exact specifications, budget and timetable. Our services are retained by small and large-scale investors looking for land to develop as well as opportunities in existing residential and commercial real estate. In all cases where we oversee construction work, we will obtain the appropriate licences and work with architects, builders, decorators, engineers and landscapers to exceed expectations. A lot of people who have bought with us have subsequently made use of our property management services, which include taking care of daily home maintenance and utilities, ensuring your home is in perfect condition or indeed managing the renting out of your property to maximise returns on your investment – be it through long-term or holiday rentals.